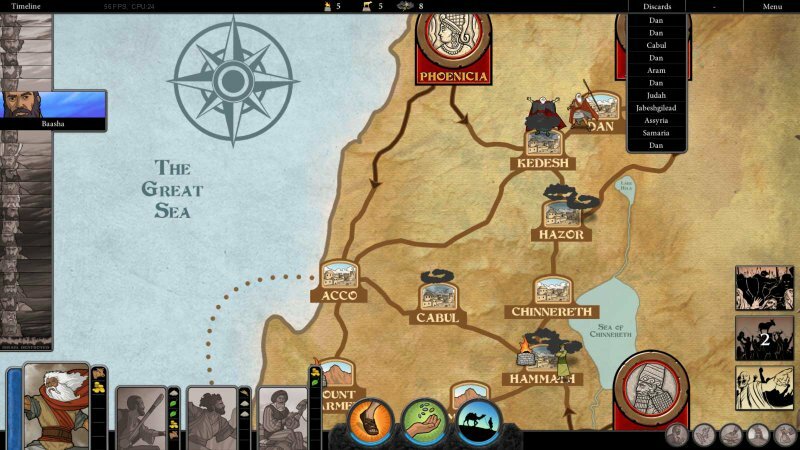 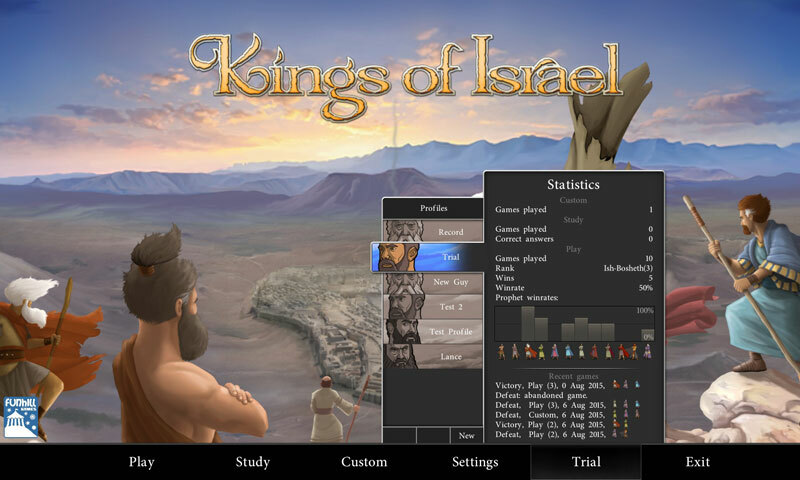 The Kings of Israel video game is a strategic, turn based game based off the board game of the same name. 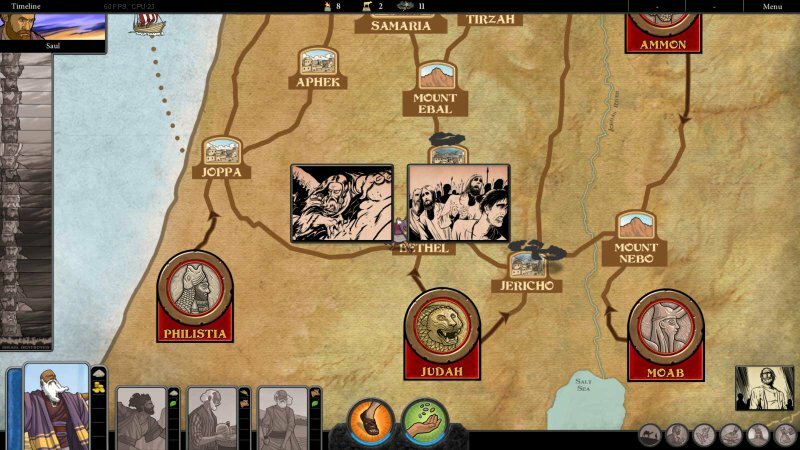 Kings of Israel is easy to pick up but adapts in difficulty to challenge even the most advanced gamer. 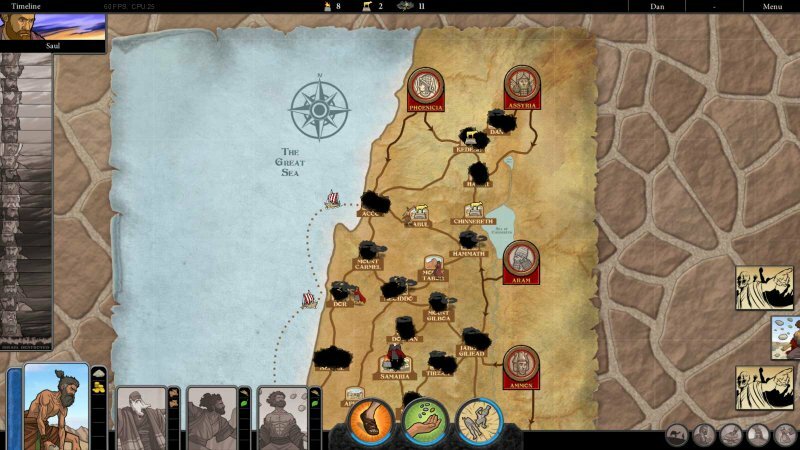 Playable on both PC and Mac through Steam. 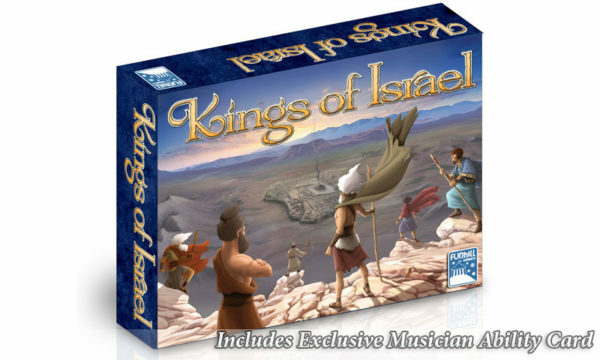 Based on the strategic board game of the same name, Kings of Israel takes place in ancient Israel during the reign of its kings up until Israel’s destruction by Assyria. 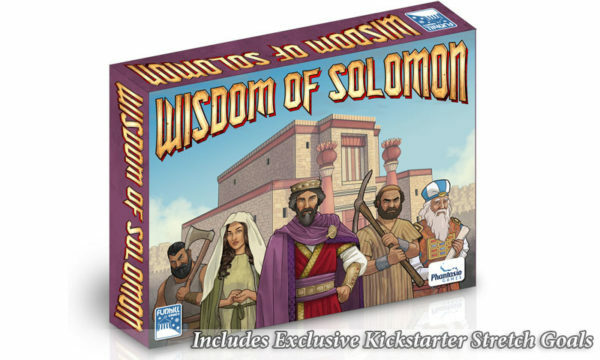 The player must use their team of prophets to fight evil growing within Israel, while trying to build the altars needed to win the game. Life will not be easy for the team of prophets! 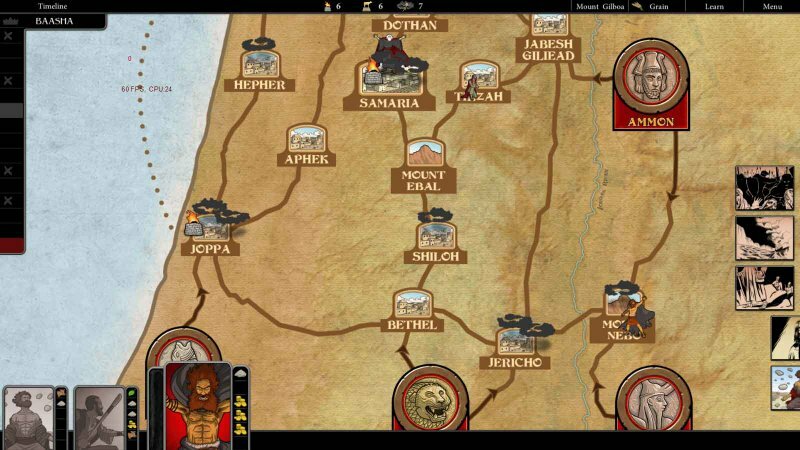 Each turn evil grows within Israel, idols may be built, and chaos continues every turn a bad king leads Israel. But if the player plans well, and uses their actions and resources carefully, they will prevail and go on to new, and more difficult, battles! Upon purchase, a Steam key will be sent to your e-mail address within 24 hours.